Gift of $10 from the Thirty-Eighth Continental Congress DAR chapter. 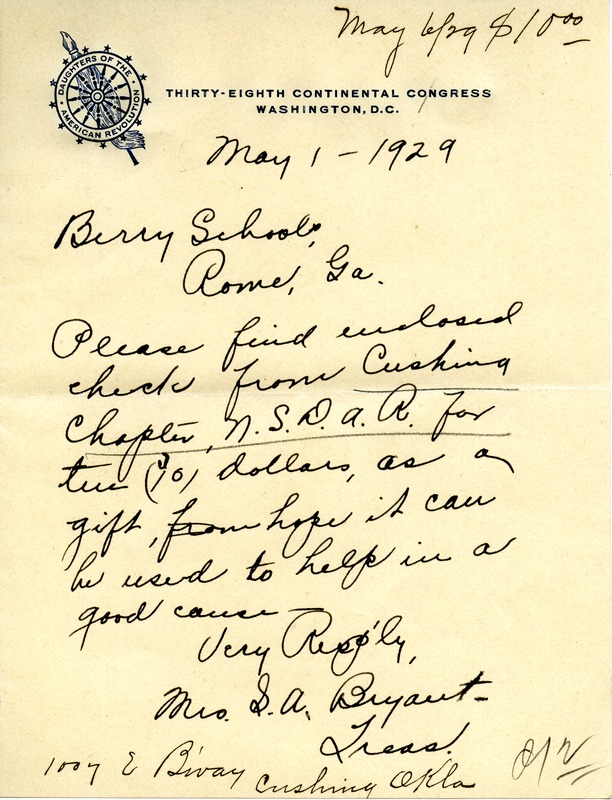 Mrs. S. A. Bryant, “Letter to the Berry Schools from S. A. Bryant.” Martha Berry Digital Archive. Eds. Schlitz, Stephanie A., Meg Ratliff, Claudette Bearden, et al. Mount Berry: Berry College, 2012. accessed April 21, 2019, https://mbda.berry.edu/items/show/9957.